We look at the choices of bedside cabinets that are available. See how different styles go in a different type of bedroom. There is also some information about what to look for when choosing a bed side cabinet. Your bed side cabinet should be functional, as well as looking good with the rest of your bedroom furniture and decor. There are lots of different styles to choose from. these are attractive bed side cabinets in white, with pretty scrolling on each of the three drawers and curved legs to give it a French look. this is a modern and grown up style of cabinet, with dark wood and a glossy finish. this has a distinctive and unique look, with curved legs and an embossed pattern. This would suit a very unique and different bedroom ddcor, such as a clinical stainless steel look. this is the most basic of bedside tables, a simple box that sits on one side to form a table top, with space underneath for storing a few things. this is a classic style with 3 drawers, which are in white and the whole unit has a wood effect top that sits on the white framework. 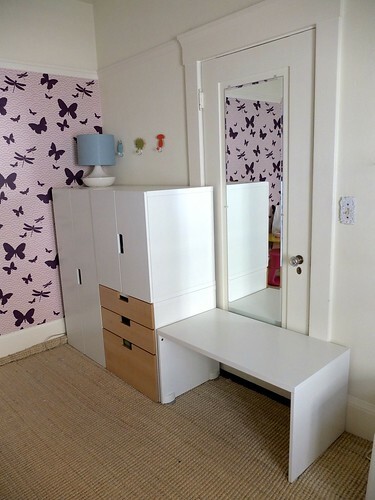 this table does not have any drawers and it is a simple table design to sit beside a bed, but may not be practical for anyone who stores a lot in their bed side cabinet. If you are redecorating your bedroom and are looking at the latest collections of bed side cabinets for new ideas, always remember to consider the practicalities as well; there is no use in a cabinet without storage if you have a lot of things to put in it. Other than that, it is a matter of taste, as long as you have the space in your bedroom to fit the tables that you want. A. Mathews is an interior designer who has chosen many bed side cabinets for many different styles and tastes. She is always keeping an eye out for the latest collections of bed side cabinets in order to get new ideas and inspiration for her designs.